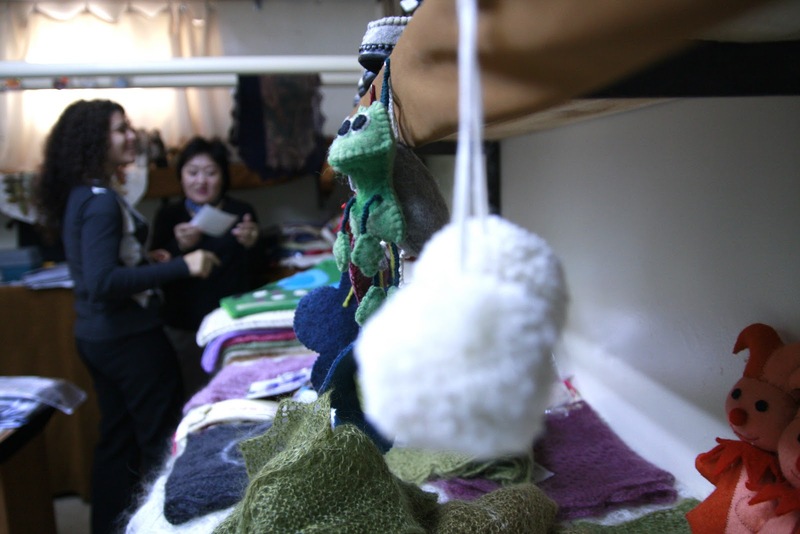 Sarah Feldberg of the Canadian Co-operative Association (left) with TSEND-AYUSH Tseleejav (short name "Ayo") in the stock room of the Wool Craft Supporting Centre NGO. Ayo is the executive director of the Wool Craft Supporting Centre, which sells items handmade out of wool and felt. It sources products from 11 co-ops that together support 150 members, including 10 men. We visited the centre Monday morning.